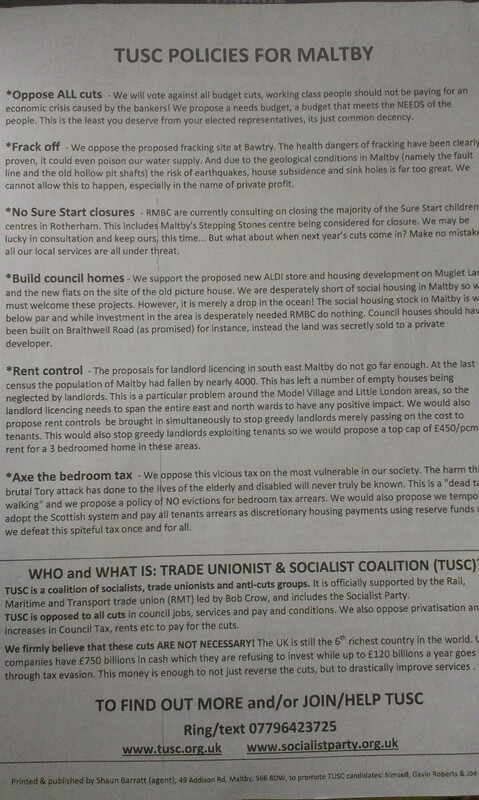 This entry was posted in Uncategorized and tagged Bedroom Tax, Frack Off, Maltby Town Council Elections, policies. 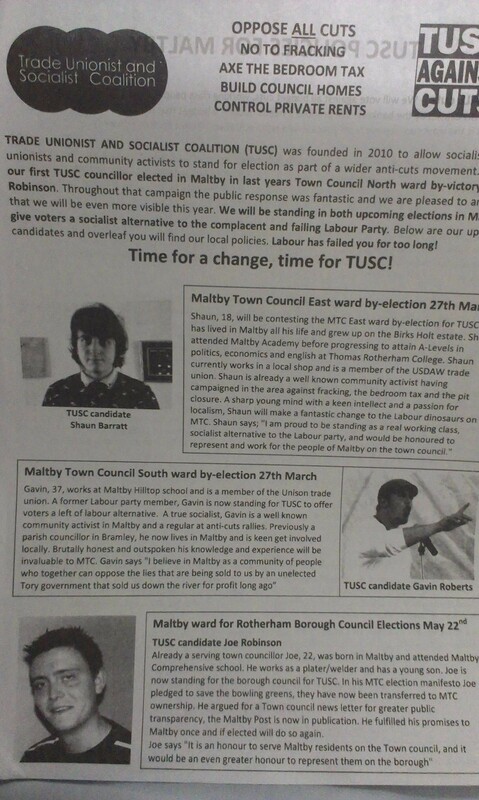 TUSC Policies for Maltby, Rent control, Sure Start closures, TUSC candidates. Bookmark the permalink.